It should be no surprise that landscaping is among the only home renovations that pays you back more than you put in. Everyone wants a stunning exterior with space for reflection, relaxation and entertaining, but few people want to put in the effort of designing and building a landscape for themselves. Lawns are hardier than you think. If you are looking out on anything other than bare dirt, you can probably bring your lawn back to life easier and cheaper than you could buy all-new sod. The answer could be as simple as reseeding lawn — but before you start throwing seed around, you should verify that you don’t have another problem, too. Bare patches in your lawn could be the result of any number of problems, and almost all of them are easily diagnosable. You might consider hiring a lawn professional to test your soil, search for pests and disease, and generally give you more information about your lawn before you reseed. That way, you give the seed the best possible chance of repairing your lawn. An unattractive landscape is, more often than not, the result of a lack of enough greenery. As your lawn is healing, you should consider trying to fill in empty spaces with more plant life — but don’t worry, you don’t necessarily have to buy it. 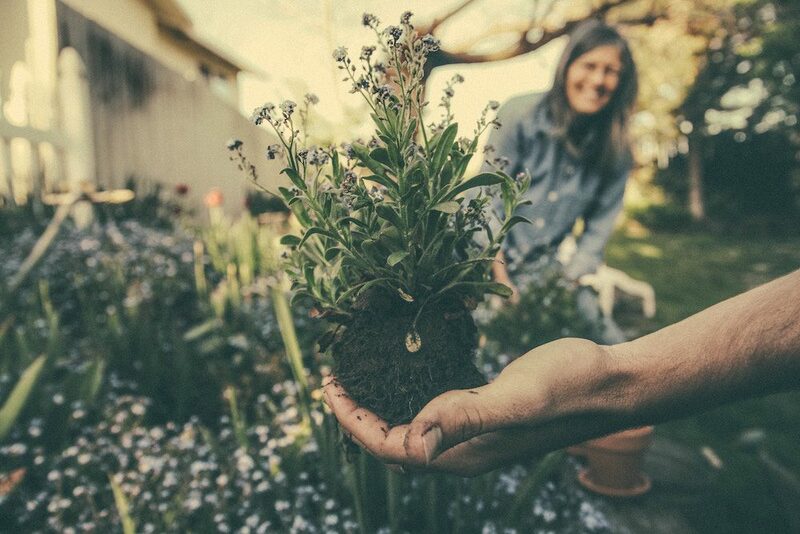 It’s likely that plenty of the plants already in your yard can be propagated, which means taking a cutting, stimulating root growth and replanting it. Cactus are especially good at this trick, or if you live in wetter climes, rose bushes propagate relatively well. You might also ask friends and neighbors for spare plants (or bits of plants) they can give you to landscape with. Speaking of other people, you might check your neighborhood messaging group (on services like Facebook or Nextdoor) for offers of unwanted plants. Other landscapers in your area are typically eager to give their old plants a new home, so you should be able to find plenty of greenery available for free or cheap. Container gardening is still very much in, but buying in-style containers can get expensive, fast. Instead, you should try to DIY your own containers using items you already have or raw materials that don’t cost much. For instance, you could make a cute garden out of old car tires, wooden pallets and even toys like wagons and trucks. 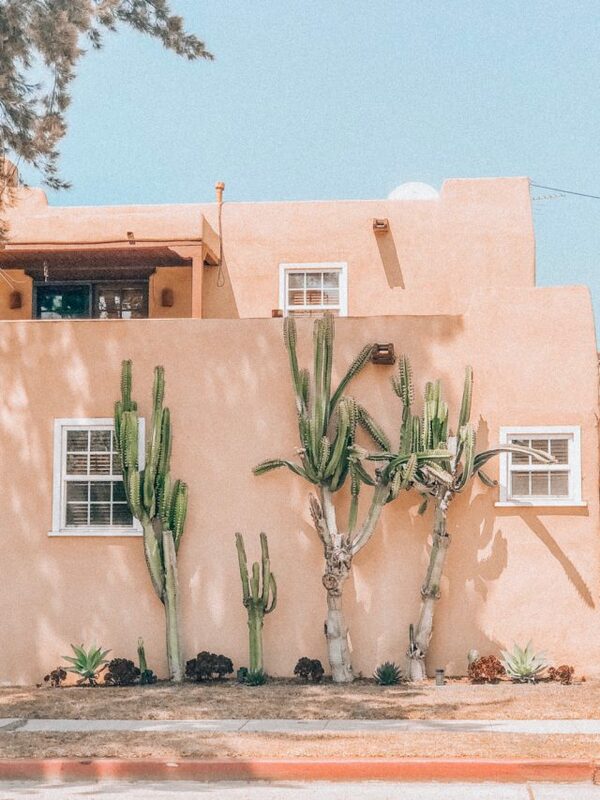 Then again, you can easily craft larger containers out of concrete and paint them whatever colors match your home’s exterior. Then, you can fill your planters with bright and magnificent blooms to catch buyers’ eyes. Speaking of color, you shouldn’t be afraid of it. 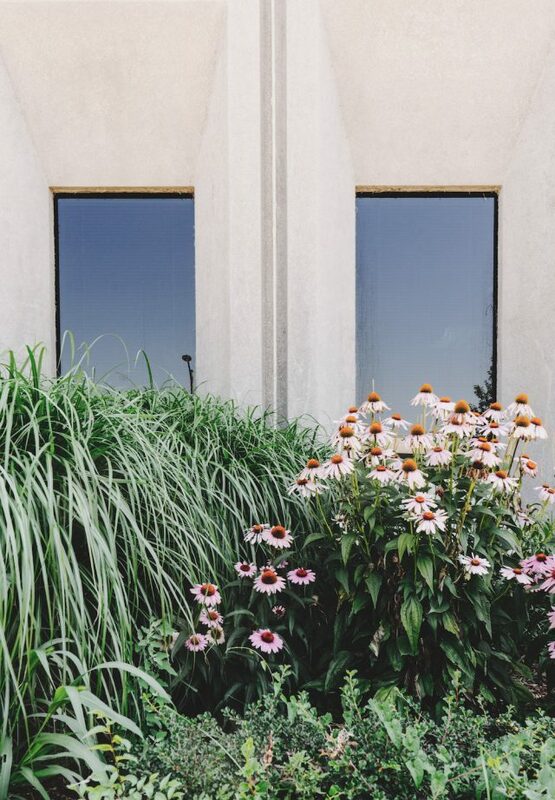 While neutrals — specifically black, white and gray — are very much in style right now, you shouldn’t hold back when it comes to color in your landscape. You don’t have to stick to green; flowers come in an incredible shade range, and you should make full and creative use of it as much as you can. You can apply color theory to your landscaping to change viewers’ impressions of your yard. For instance, in a smaller space, you should install warm colors (like red and orange roses) in the foreground and cool colors (like purple and blue rhododendrons) in the background to give the appearance of more space. Then again, you can fill a larger yard with warm colors to make it feel more intimate. You can and should fill your exterior spaces with more than just green to improve your landscape’s look and value. Finally, illuminating your landscape is more important than you might expect. It’s common to assume that most visitors will come to your property during the day — but like you, most people work during the day and only have time to visit in the evenings or on weekends. Thus, it doesn’t hurt to install some dramatic landscape lighting to catch guests’ eyes after the sun sets. For just a few dollars, you can purchase rope lights to wind around your landscape, highlighting pathways and other important hardscape features. You can also find gently used flood lights on websites like OfferUp and Craigslist. These you can use to bring the eye toward trees, trellises and similar landscaping. It doesn’t take a professional to transform a yard into something special. With a bit of vision and some solid strategies, you can create your own gorgeous home exterior — and you can do it without breaking the bank.